Did you ever think you'd see the day? The former oil man and the industry's latest favorite friend, President Bush, calling for investments in alternative energy and a "Advanced Energy Initiative" in tonight's "State of the Union" address. But as I heard one pundit say after the broadcast, If Nixon can go to China in his second term, then I guess Bush can become a champion for alternative energy. So tonight, I announce the Advanced Energy Initiative -- a 22-percent increase in clean-energy research -- at the Department of Energy, to push for breakthroughs in two vital areas. To change how we power our homes and offices, we will invest more in zero-emission coal-fired plants, revolutionary solar and wind technologies, and clean, safe nuclear energy. We must also change how we power our automobiles. We will increase our research in better batteries for hybrid and electric cars, and in pollution-free cars that run on hydrogen. We'll also fund additional research in cutting-edge methods of producing ethanol, not just from corn, but from wood chips and stalks, or switch grass. Our goal is to make this new kind of ethanol practical and competitive within six years. Breakthroughs on this and other new technologies will help us reach another great goal: to replace more than 75 percent of our oil imports from the Middle East by 2025. By applying the talent and technology of America, this country can dramatically improve our environment, move beyond a petroleum-based economy, and make our dependence on Middle Eastern oil a thing of the past. We'll be looking closely at the "Advanced Energy Initiative," for the details of his proposal. For now, we applaud President Bush for his courage in sticking his wildcatter's neck out by suggesting it's time to turn to market-based incentives for alternatives to oil dependency. I was talking with a friend this morning about the impacts of climate change and the question of what can be done about it. In sending him some background on the subject, I ran across this web site from the BBC. The six-part series exploring "the planet's most pressing environmental problems." "Planet Under Pressure" ran some time ago in the UK (2004), but I don't know that it has been broadcast in the states. The site features a range of information, infographics, and evidence of change. Part six is devoted to the subject of climate change. Check out the animated guide, images of the impact, and the responses to environmental damage offered by teenagers. Worth a look: BBC's "Planet Under Pressure"
A good friend of mine is fond of using the Chinese characters known as "Crisis," commonly assumed to be a combination of "Danger" + "Opportunity," to illustrate crucial moments of decision. Turns out this may be fallacious, according to Victor H. Mair, professor of Chinese language and literature at the University of Pennsylvania, who says that "while it is true that wēijī does indeed mean 'crisis' and that the wēi syllable of wēijī does convey the notion of 'danger,' the jī syllable of wēijī most definitely does not signify 'opportunity.'" The jī of wēijī, in fact, means something like 'incipient moment; crucial point (when something begins or changes).' Thus, a wēijī is indeed a genuine crisis, a dangerous moment, a time when things start to go awry....If one wants to find a word containing the element jī that means 'opportunity' (i.e., a favorable juncture of circumstances, or a good chance for advancement), one needs to look elsewhere than wēijī, which means precisely 'crisis' (viz., a dangerous, critical moment)." I bring this to your attention neither to embarrass my friend nor to contribute to what Mair calls "a type of muddled thinking that is a danger to society," but rather to illustrate a point: whether "wēijī" or "liángjī," we are facing a crisis, an incipient moment, a crucial point at which things may go awry or take a favorable turn with regard to China and indeed all of Asia. According to an article in GreenBiz.com last week, the newly released State of the World 2006 Report, published by the Worldwatch Institute, suggests that the "dramatic rise of China and India presents one of the gravest threats -- and greatest opportunities -- facing the world today." The next few years, Worldwatch posits, will spin the world towards "growing ecologial and political instability" or towards the next global revolution, a "path based on efficient technologies and better stewardship of resources." Worldwatch President Christopher Flavin says that he was "encouraged to find that a growing number of opinion leaders in China and India now recognize that the resource-intensive model for economic growth can't work in the 21st century." He cites China's growing investments in solar energy and India's pioneering rainwater harvesting as examples of how the two countries are poised "to leapfrog today's industrial powers and become world leaders in sustainable energy and agriculture within a decade." Not all is rosy in the report's estimation; China and India and their huge populations are fast emulating the United States and Europe and their tremendous demands on the earth's ecosystems. The report cites a number of negatives, including the Songhua River chemical spill, rapidly dwindling feshwater resources, increased dependence on oil and coal, and grain consumption. Nevertheless, says Worldwatch, there are "early successful efforts to employ new approaches," such as the 2005 commitment by both nations to accelerate the development of new and renewable energy sources, a growing emphasis on public transportation, and laws that give "Chinese non-governmental organizations (NGOs) stronger legal standing to participate in decision-making." The question is whether China, India, Europe and the United States can cooperate to "develop new energy and agricultural systems, maximize resource efficiency, and continue recent progress towards participatory decision-making in China and India." One must not jump to the conclusion that China is offering a beacon of hope in the smog of natural resource use, just yet. Environmentalists and scientists are concerned by the impact China is having on ocean ecosystems, specifically large predators like sharks. According to a recent article by Juan Forero released through the New York Times News Service, China's burgeoning middle class is increasing the demand for shark fins -- shark fin soup being a delicacy used in ceremonial dinners. Populations of shark species "like the hammerhead and great white, have been reduced by upwards of 70 percent in the last 15 years, while others, like the silky white-tip have disappeared from the Caribbean." Still, as the Worldwatch Report concludes, "The rise of China and India is the wake-up call that should prompt people in the United States and around the world to take seriously the need for strong commitments to build sustainable economies." Perhaps, as the authors surmise, viewing this turn in the global arena as an opportunity (liángjī) rather than a crisis (wēijī) makes for an incipient moment that may result in favorable circumstances for the global environment, economy, and society. Today is the 300th anniversary of the birth of one of the greatest Americans in history, Ben Franklin. In fact, he is often known as the "first American," because it was his philosophy and writings -- and his hubris -- that influenced the founding of the country. In 1739, Benjamin Franklin and neighbors petitioned the "Pennsylvania Assembly to stop waste dumping and remove tanneries from Philadelphia's commercial district. Foul smell, lower property values, disease and interference with fire fighting are cited. The industries complain that their rights are being violated, but Franklin argues for 'public rights.' Franklin and the environmentalists win a symbolic battle but the dumping goes on." And from 1762 to 1769, a "Philadelphia committee led by Franklin attempts to regulate waste disposal and water pollution." Finally, in 1797, Franklin's will stipulated the construction of a fresh water pipeline for Philadelphia, which led to the formation of the Philadelphia Water Commission. Franklin understood the value of such environmental measures to quality of life, human health and well-being. Remember Benjamin Franklin, born on this day in 1706, He died in 1790. References for this post include the Wikipedia "Timeline of Environmental Events" and other sources. For an excellent biography, try Benjamin Franklin: An American Life by Walter Isaacson. Last year, I listened to a wonderful, abridged recording of this book, available on CD in a reading by Boyd Gaines. Today is the 20th Anniversary of the federal holiday honoring Dr. Martin Luther King, Jr. Hundreds of thousands of Americans across the country will honor the life and work of Dr. King by participating in service projects in their communities. (My family just returned from one such event -- putting together hygiene packages for a homeless shelter.) 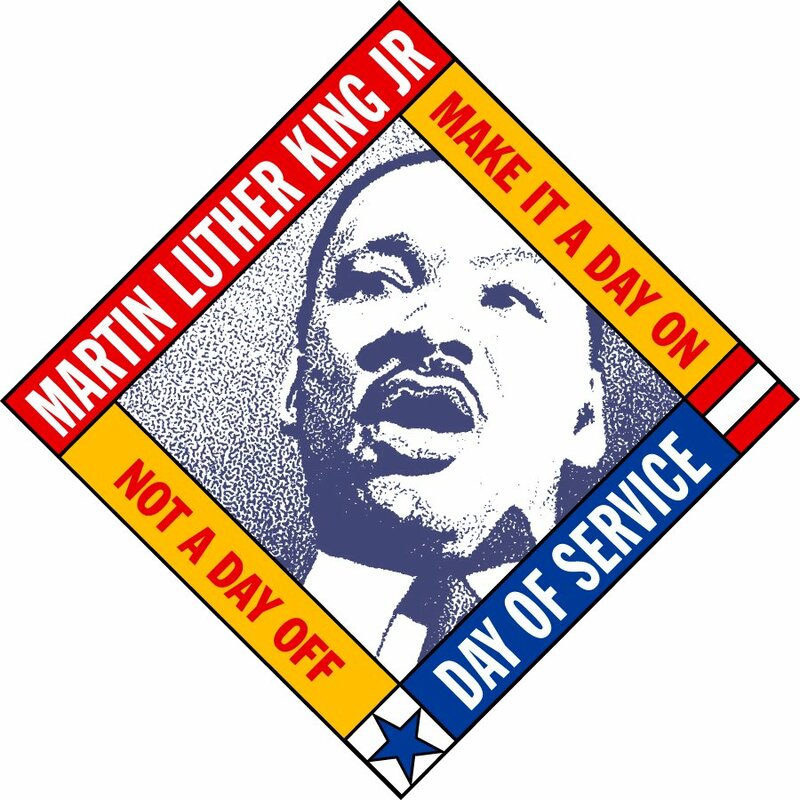 Together, we honor Dr. King's legacy of tolerance, peace, and equality by meeting community needs and making the holiday "A day ON, not a day OFF." In the words of Dr. King: "Everybody can be great, because everybody can serve." 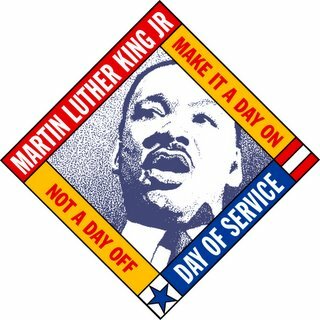 For more information, see Martin Luther King Day of Service. Each year, the Edge Foundation asks prominent "third culture" thinkers a question. Last year's question was "What do you believe is true even though you cannot prove it?" By third culture, they mean "those scientists and other thinkers in the empirical world who, through their work and expository writing, are taking the place of the traditional intellectual in rendering visible the deeper meanings of our lives, redefining who and what we are." Pretty heady stuff, eh? This year, the third culture thinkers in the Edge community have written 117 original essays (a document of 72,500 words) in response to the 2006 Edge Question "What is your dangerous idea?". Here you will find indications of a new natural philosophy, founded on the realization of the import of complexity, of evolution. Very complex systems whether organisms, brains, the biosphere, or the universe itself were not constructed by design; all have evolved. There is a new set of metaphors to describe ourselves, our minds, the universe, and all of the things we know in it.